Blogger Interrupted spells out the pretty much complete failure of the U.S. news media, especially cable news, to cover what’s going on in Iran, which is at least of a scale with the Tienanmen Square protests that made CNN’s name 20 years ago. There are news organizations covering all this, most notably the BBC. But if you really want to know what’s going on you have to turn to twitter or bloggers like Andrew Sullivan. The biggest problem with the decline of the traditional news media is the accompanying decline in real reporting. 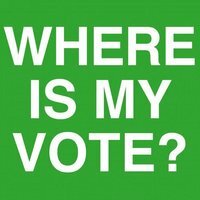 Yet how hard could it be to report that the official election statistics are preposterous, the Iranian state’s own election monitors say the election had problems, and the opposition (which apparently actually won) is very organized and is planning demonstrations today and a general strike Tuesday? If the traditional media can’t cover something as obvious as this, what good is it? This entry was posted in Government, Politics, Press and tagged Andrew Sullivan, BBC, cable news, CNN, El Arabiya, facebook, Iran, Tehran, twitter, VoA, YouTube on June 15, 2009 by John S. Quarterman.